Monticello Aviation - Over 80 years in the making! The Monticello area has long understood the economic impact that a local airport has for business and community. Our area has had a variety of airports over the year before settling at our current location. The first airport, or landing strip, rather, was built in 1929, just south of town. The 30 acres it sat on were leased from Rudolph Flack. 87 businessmen, under the drive and leadership of early pilot W.J. First, raised $993.95 for Monticello’s first airport. The airport fell to the wayside in the early 1930′s. A city vote for a new airport, to be located at the now Star Buildings Systems site, was brought up to the constituency in 1934. The measure was sadly defeated by 103 votes . This didn’t stop local pilots from building little landing strips on their farms off of which to to fly their planes. It wasn’t until 1946 that the Monti Flying Service opened another airfield, supported by the Rotary and Lions club. This one was located just Northwest of town, operated by Paul Gutknecht and Jack Beeks Jr. This airport served Monticello pilots through up to the early 1950′s. In 1954, Gerald Pasker, founder of Energy Manufacturing Co.; and Dave Cuckler, president of Cuckler Steel Span Co, built a new municipal airport and hanger South of Monticello (where Kromminga Motors is now). This airport served their respective businesses and the local flying community for a decade. Soon, a larger airport was needed to continue servicing businesses and industry in Monticello, and so in August of 1962, an exploratory meeting was held to consider a new airport. 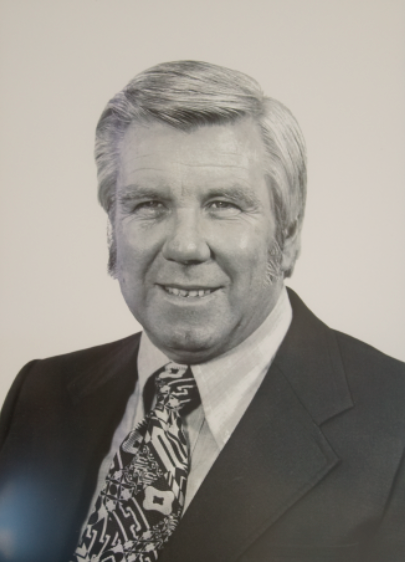 An airport committee was formed, chaired by David Cuckler, land was purchased from the Hanken family, and July of 1964 work was started on the new airport. The new airport was formally dedicated on October 16th, 1966. Since then, the airport has continued to grow; additional hanger space was added in the late 70′s, the runway has been extended. and September of 2013, the airport’s new terminal building was dedicated.